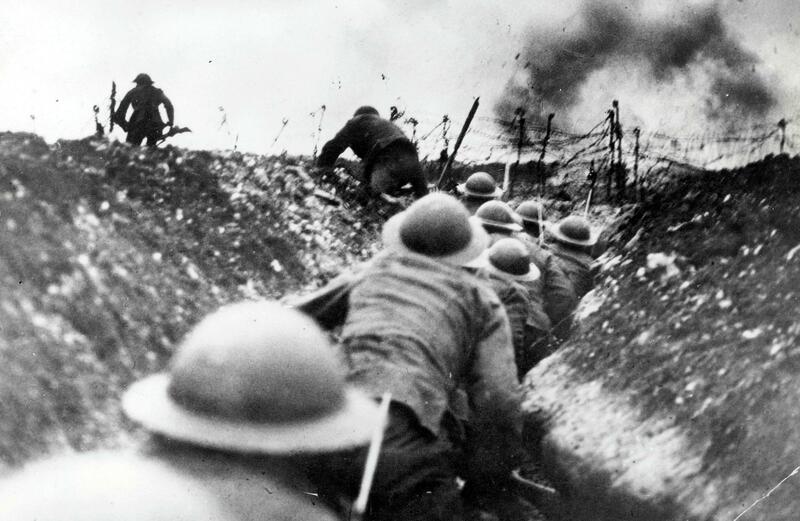 World War I, also known as the First World War, began on Sunday, June 28, 1914, spanned four terrible years, more than nine lives taken, and 20 million people wounded both physically and mentally. Before this war erupted, during the late 19th century, there was this belief, created by European leaders, which they called the balance of power. This idea was meant to justify that all the major powers of Europe, such as Germany, Russia, England, and France would have an equal amount of strength to keep the peace. This very idea, if implemented properly and thoroughly, would make no other influence or dominate another and this would prevent war from ever happening. Unfortunately, this balance of power didn’t push through, the equality wasn’t there and with the state that they were in, the inevitable happened, World War I. The beginning of WORLD WAR I…………………………. In Sarajevo, Bosnia, there was a Serbian nationalist group known as the Black Hand. When the Austrian Archduke Franz Ferdinand and his wife visited Sarajevo, which is also known to be in the Balkans, they were assassinated by one of the members of the Black Hand on June 28. Although the immediate cause of World War I was the assassination of Archduke of Austria, this war had a bigger reason and these are the three underlying causes known as: Imperialism, Alliances, and Militarism. Imperialism and alliances are, without a doubt, very important causes for how World War I began. However, militarism is the main cause because compared to imperialism and alliances, it forms the most fear and puts this obligation to go to war with all the weapons, navy and more that have built up. First, one of the underlying causes of World War I is imperialism. It was because of this cause which brought nations in Europe to divide. Imperialism was the reason to which countries fought over for more land. This underlying cause made Europe at the brink of war a few times even before 1914 as more countries tried harder to expand their empires. In 1905 and 1911, France and Germany avoided a two-front war with each other over Morocco. Even if they were able to avoid that war, they ended up distrusting and hating one another which led to them being enemies. 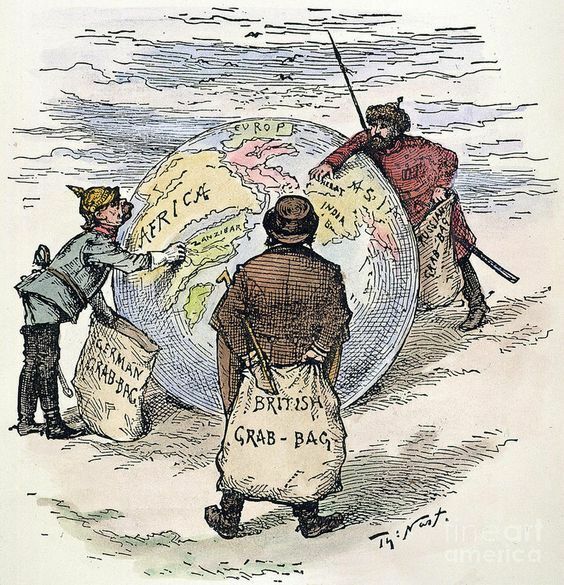 Imperialism is the reason for why countries fight over for more territories and also ends up making other countries sought out revenge if they didn’t succeed in taking the land. Another underlying cause of World War I is alliances. This has been existent in Europe before the war even began. As more doubt and detestation enclosed around one another, the countries decided that would sign a treaty and make alliances with each other. These treaties made the countries sign a pledge that they would defend each other during a war. The first to form an alliance was: Germany, Austria-Hungary, and Italy. This alliance which was created by the chancellor of Prussia, Otto von Bismarck, is known as the Triple Alliance. When this first alliance formed, anxiousness rose with Russia and England. Although Otto von Bismarck did try to assure England and Russia that there was nothing to worry about, this didn’t do anything and after 1890, another kind of alliance was formed. France, Russia, and Great Britain formed an entente which is an informal alliance. When one of these countries from one of these alliances were to go into war, the other countries they were in an alliance with would have to help and enter the war too, which is part of what they agreed to but also expands the war into more land. In 1914, these alliances fought on the same side and aided each other when the time of war came at the door. World War I unfolded after Austria-Hungary with Germany as it’s alliance, declared war on Serbia. Since Serbia had Slavic people in their population, Russia, with its duty to defend and lead all Slavs, obligated and took Serbia’s side and declared war on Austria-Hungary. Germany then declared war on Russia. With France and its alliance with Russia, it declared war on Germany and Germany returned the favor and declared war on France. At this point, a great number of innocent people and even the numbers of soldiers increased as more countries joined in. Europe was officially at war with itself and any sign of the peace of Europe seemed to be gone from the horizon, this is shown with the cartoon published on August 5, 1914, called the “The Crime of the Ages”, just two months after the war happened. Militarism is the main cause of World War I as it instills fear and intimidation with its neighboring and far-flung countries which caused them to build up and grow their armaments. The meaning of militarism is the glorification of the military. The military was being described as admirable, but most especially unjustifiable. The idea of the “survival of the fittest” is what lingered in the minds of the men who took part in the rise of militarism in the 1800s. The countries who took part in this race on who would have the most and be the strongest were: France, Russia, Germany, Austria-Hungary, Italy, and Great Britain. The expenditures grew by large amounts, as charted, from 1890 to 1914, as. The growth in armaments was truly a large amount. Emile Zola, a critic, political activist, and one of the most prominent French novelist in the 19th century was an author of the book, The origins of the First World War, and in this, he wrote “War is life itself. Nothing exists in nature, in born, grows, or multiples except by combat”. This explains that they thought that it was a necessity to have a military, and that militarism was the main cause of World War I as it was a great importance to have an army, weapons, navy, and war in order to strive and be successful. The mindset of the fighting countries was that you could only win a war with a strong military. Also, if a country were to have a strong military, and this led to winning wars and more success in battles over claiming more land, this also meant that other countries would respect and wouldn’t want to mess with that country. One of the biggest and fiercest competitions happened between Germany and Britain, these two countries had a naval rivalry. At first, Great Britain was at the top and well known for having the world’s most respected navy. Suddenly, Germany started to make its own battle fleet. This shipbuilding arms race, which began in 1906 and ended in 1914, created this conflict between both countries which had also seen to have caused World War I. Both the feeling of fear and superiority over other countries built up along with the competitions for a bigger arms race. By 1914, when the First World War erupted, all these armaments that had been built-up over the years, which composed of tanks, guns, and more, were all ready to fire away. They’ve built up their army because the countries participating in the growth of it knew that they were going to employ them. Although imperialism and alliances are important causes of World War I, militarism is the main cause. Some would argue for the other two underlying cause, however, militarism, when compared to the two, had a greater impact to what lead to World War I. Competition, inferiority, detestation, distrust, intimidation, and fear all went into one when it came to militarism. Militarism was imperialism and alliances as it is a mixture of both and more. It is because of militarism that alliances form, a country or nation forms alliances because they know they would need help and more defense from others to protect itself from another country’s or another alliance’s army or military. Without militarism, without an army, without a military, there would be no imperialism. It would be almost impossible for countries to fight over for more land, or for countries to even take over land because in order to do this you would need an army, you would need a military, and you would need militarism. This is why militarism is the main cause, it’s the exact recipe to create destruction, disaster, and most especially war, World War I.